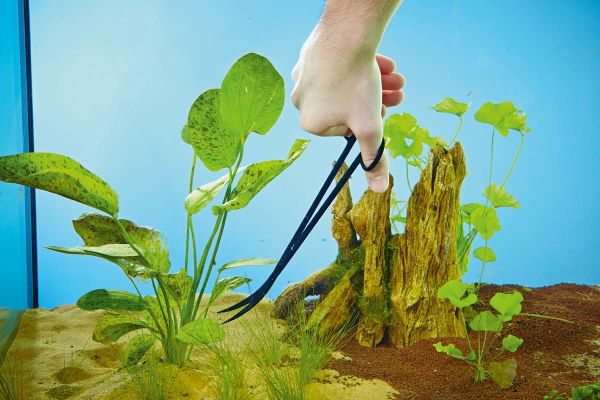 Water Garden Ltd offer a wide range of high quality aquarium cleaning tools such as glass cleaners, fish nets, pruning scissors, tweezers and brushes. Water Garden offer a wide range of cleaning accessories and tools for helping to maintain your aquarium, whether you own a marine tank, cold water or tropical fish tank. Accessories include magnetic glass cleaners, glass cleaning hand tools, tweezers and plant pruning scissors, fish nets, hose brushes and digital thermometers. 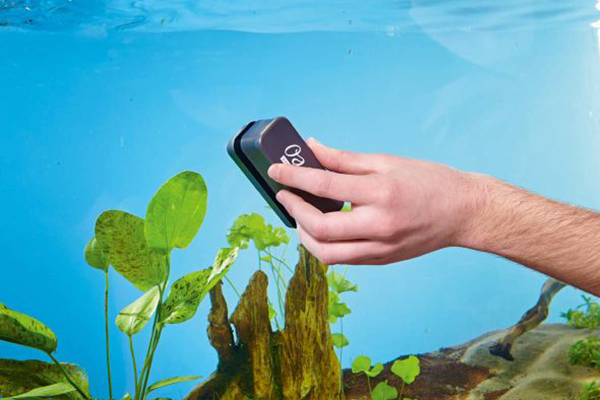 These high quality OASE accessories make cleaning your prized aquarium far more enjoyable. Aquarium maintenance is a task best performed little and often to ensure your fish tank stay looking just as good as it did the day it was commissioned. Many tanks will not get the amount of maintenance they need due to the task seeming quite gruelling, however there are tools available to make the task a lot simpler and potentially preventing you from needing to get your hands wet. Algae building up on the glass is an issue seen across every aquarium and this will need clearing off around every two weeks. To remove algae from the glass there are two tools which can be used, either a bladed scraper or a magnetic glass cleaner. Bladed scrapers are far more efficient at removing the algae, but the magnetic glass cleaners prevent you from needing to put your hands in the water. Plants will grow inside the tank and will require pruning or clipping back to keep them under control. Long handled scissors and tweezers can make this delicate task far simpler and due to the long handle can prevent you from needing to get your hands wet when doing so. During full tank cleans, fish will need removing and placing into a separate tank or tub whilst they’re tank is emptied. 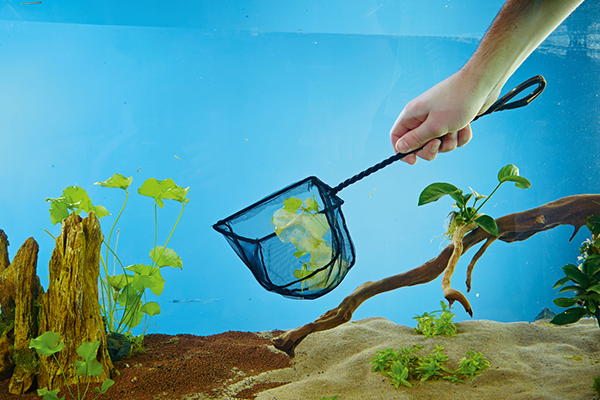 Fish won’t simply jump in your hand when called so a suitably sized fish net to catch them in is essential for removing them safely and with as little stress as possible. Water Garden Ltd recommend undertaking a small amount of maintenance on a weekly basis, as this will help you to keep on top of everything whilst not amounting to several hours of work at any one time.